While it’s true that solar is a dependable, sustainable cost saver, getting your money’s worth involves more than just laying some solar panels on top of your roof. It takes a system built to match your unique energy needs. With the right approach, a solar installation could reduce your monthly energy bills by 40-70%. Below, we’ll explore how homeowners can best save money over time with solar. It begins with a thorough review of your individual power costs and requirements. And, the addition of energy-saving equipment can improve your savings picture even more than solar reasonably promises by itself. The initial consultation with your solar provider is where you’ll first see the savings potential. Among other things, it includes an assessment of your yearly power usage and the number of solar panels needed. The goal: a system perfectly tailored to your consumption patterns, so that you use most of the power your panels produce. Solar system size and regional electricity costs are perhaps the two biggest factors playing into your system’s lifetime savings. The system size is influenced by how much direct sunlight you receive, whether you run lots of large appliances, and the ability to position your panels for optimal sunlight exposure. For a quick snapshot of what sort of savings you can expect, check out the World Solar calculator — simply indicate your utility costs and where you live to see the results. The projected savings are based on 80% solar power consumption, 3.8 daylight hours, a current power cost of 25 cents/kWh, and 3% annual increase in electricity prices. The best, most experienced solar installers won’t only advise you on system size and the number of panels. They should also suggest power management systems that increase your savings over time. For high power consumers, the best solution is often power management with 24/7 energy monitoring. These systems can automatically turn your appliances on or off for the most efficient solar power usage. Power management often takes the form of a solar power diverter, which redirects excess solar energy towards a high power consumers like water heaters. A smart power management system, like Power Genius, will automatically manages how solar power is used throughout your home, potentially reducing your pay-back period to as low as 5-7 years (depending on what your current cost you are paying per/kw from your retailer). During weeknights, home power usage tends to skyrocket. That’s where solar batteries come in. They’re a great way to store solar energy generated during the day for use at night. Along with the home solar systems we customise for efficient power consumption, World Solar provide a great energy storage solution: the SolaX Power Station, featuring a 13kW-capacity LG lithium-ion battery. Using battery storage means using your excess power and reducing the amount you sell back to the grid, which means an even lower payback period. With an optional battery as part of your solar system, your nighttime energy consumption is taken into account for the best possible savings. The conclusion: Yes, solar is worth it when done right! 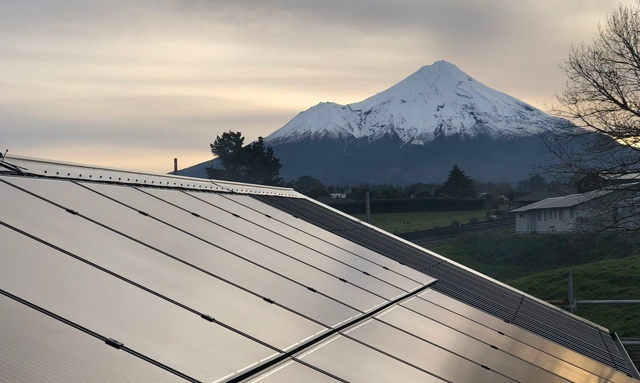 A Wellington household with average energy consumption, using 20% of their generated solar power, would save $564 in the first year of using solar and would take 16.9 years to pay off the system. If they use 80% of their solar power, they would save $1,128 the first year, with a payback period of only 8.5 years. For a Christchurch household with high energy consumption, at 20% self-consumption, the first-year savings are $811 with a 16.8 -year payback period. With 80% self-consumption, that’s $1,627 in first-year savings with an 8.4-year payback period. When done effectively with a thorough initial consultation, and optional built-in power management or battery storage, solar is a very effective way to save on lifetime power costs.